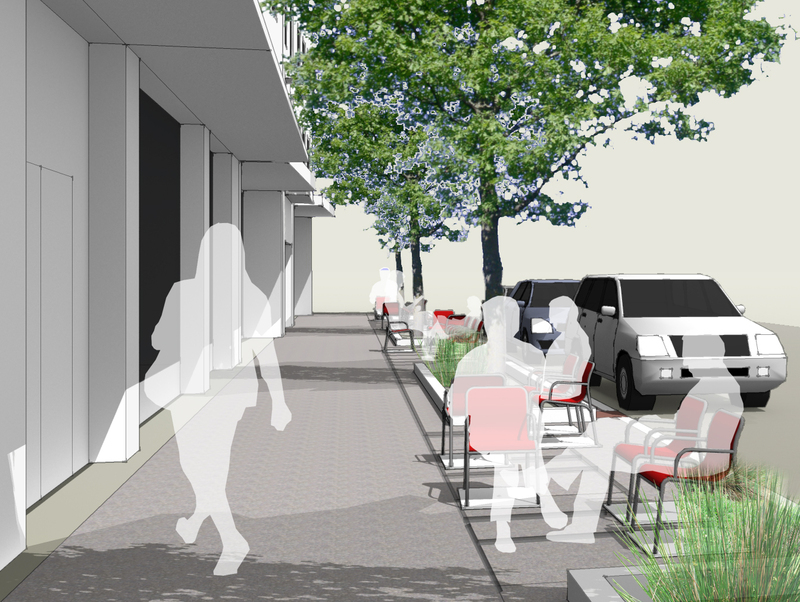 The following plan and rendering illustrate the use of the permanent stainless steel track embodiment of the track and sled technology (patent pending) to create an agile streetscape that replaces the traditional fixed bench with movable chairs. In addition, tables (not shown) can be mounted to the system to add even more choice for the users. 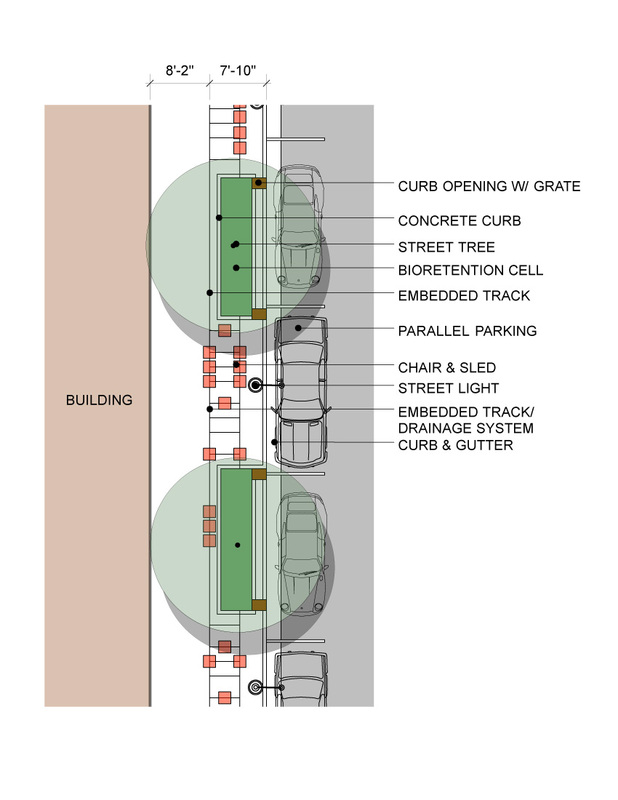 The plan shows how the system can not only provide infrastructure for movable site furniture but also direct water to the bioretention areas along the green street. This entry was posted in CHAIR>bench and tagged chair, green infrastructure, site furniture, stormwater, streetscape, table. Bookmark the permalink.